WD Class 8F 2‑8‑0 No. 90041, looking ex. 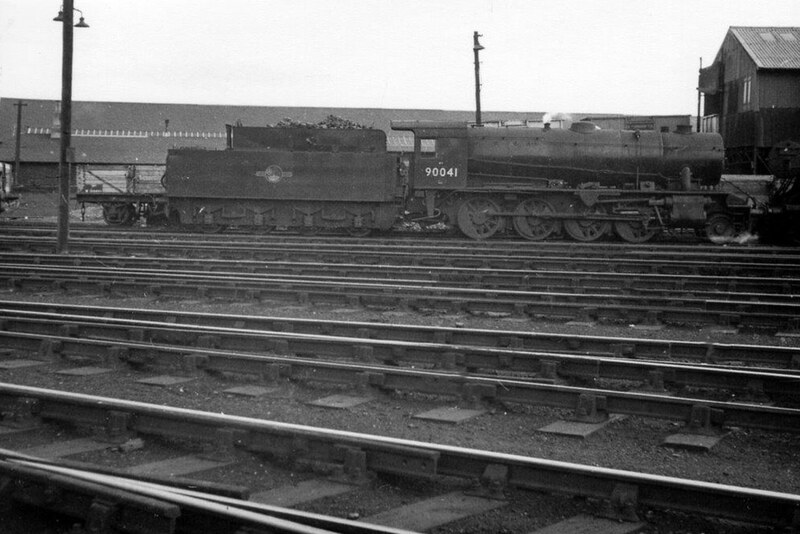 Works, shows a feather of steam whilst awaiting its next rostered duty in the yard of its home depot at 61B Ferryhill (Aberdeen) on 22nd August 1962. No. 90041 remained on the books at Ferryhill until April 1966 when it was transferred to 62C Dunfermline. WD Class 8F 2‑8‑0 No. 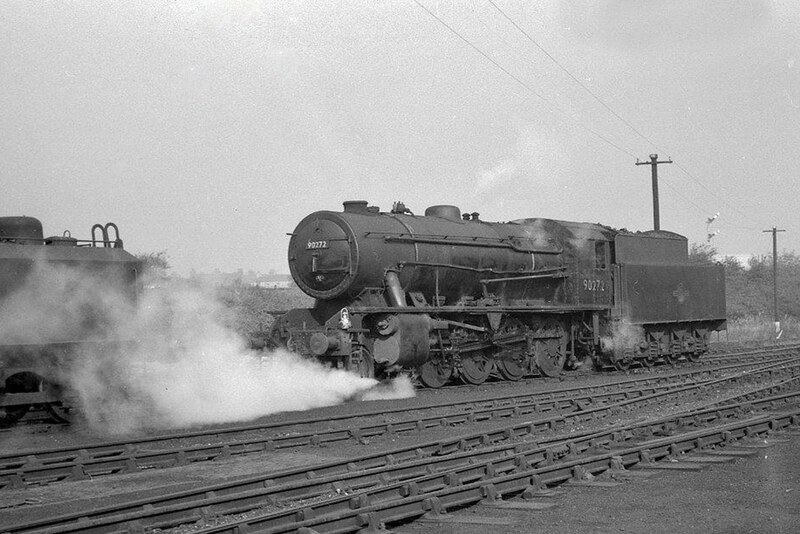 90272 lets off steam in the yard at 50D Goole around May 1967. In a matter of weeks this depot in the heart of dockland would be closed to steam. No. 90272 lingered at Goole for several months after withdrawal in June 1967 before being reduced to scrap at the hands of Draper’s, Hull. Note: There are no known additional amendments or queries appertaining to the storage and disposals of the WD 2‑8‑0 and 2‑10‑0 Classes of locomotives, but any information to the contrary will be welcomed along with any assistance with verifications. Note: Locomotives scrapped at Darlington were either cut up in the Works or at the nearby scrapyard which was separate. I have placed them under the general heading of Darlington. Note: Draper’s, Hull cut up dates are the week beginning.